It’s best for an orthodontist to see children by age seven to advise if orthodontic treatment is required and determine the best time for that child patient to be treated. The first permanent molars and front teeth have usually erupted by age seven and many dental problems, such as crossbites and crowding, can be evaluated. In many cases, the child patient will be brought back for annual recall visits to monitor their growth and development until such time as treatment is ready to begin. Should early treatment be required, the orthodontist can guide the growth of a jaw and incoming permanent (adult) teeth. Early treatment can also regulate the width of the upper and lower jaw forms, open up space for adult teeth (possibly avoiding the need for removal of adult teeth), reduce the likelihood of impacted adult teeth, correct thumb sucking, and eliminate abnormal swallowing or speech problems. 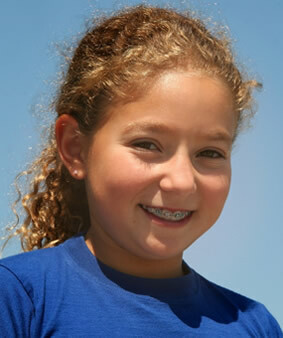 In other words, early treatment can simplify or possibly eliminate future full orthodontic treatment. Orthodontic treatment can create a beautiful, healthy smile at any age. As an adult, the appreciation for a wonderful smile is even greater. At Dr. Steiman’s office, three out of every ten patients are adults over the age of 21. In fact, the average adult patient age is 41. Movement of teeth in an adult is very similar to a child, however, the bone of an adult is denser which can slow down tooth movement and increase the treatment time by up to six months. As an adult, jaw growth correction is not possible because their jaws are no longer growing. Therefore, severe jaw position mismatches may require jaw surgery to correct ideally. Fortunately, many adults are able to avoid surgery by making their teeth fit beautifully within their existing jaw patterns. Adults may have experienced some breakdown or loss of their teeth and bone support and may require gum treatment (periodontics) before, during, and/or after orthodontic treatment. Bone loss can also limit the amount and direction of desired tooth movement.